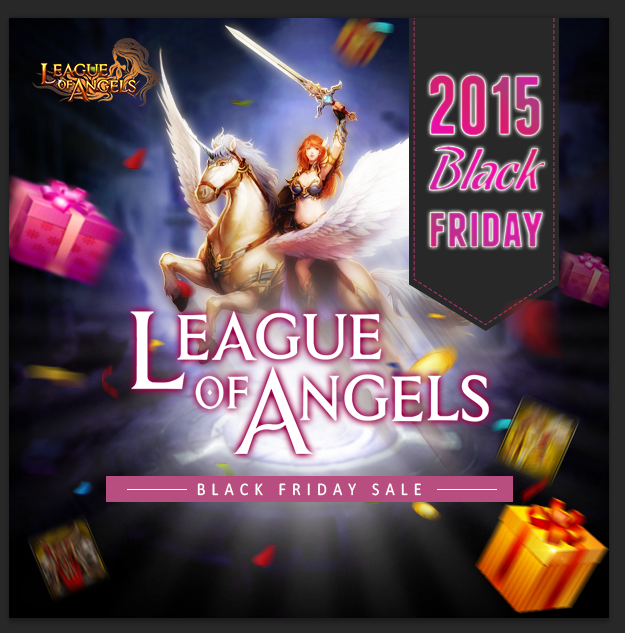 The one-day-only Black Friday Event in LoA is coming! Angels, sylphs, mounts, costumes, plus tons of items and resources are ready for you! Are you well prepared? Take the chance to find your beloved items! Description: Up to 95% off! Take more resources at a lower cost. Description: Take your beloved angel on this one-day-only sale! Description: There's always one mount for you! Description: Gorgeous clothing are available here! Take a look! Description: Take a sylph with you to boost your Battle Rating! Description: Equip yourself with more powerful equipments! Join us! There's always something for you.